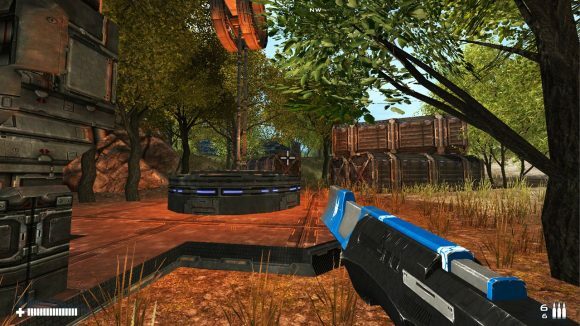 Bedlam is a unique fast paced FPS game based on a novel of the same name by cult Scottish author Christopher Brookmyre. Pitched as a shooter for those who survived online gaming in the 80s and 90s, Bedlam takes a look through an iconic time in online gaming and serves up some authentic gaming nostalgia with up-to-date graphics and gaming features. Bedlam is set entirely in the first-person but will explore other game genres from a first-person perspective. In the game you play Heather Quinn (aka Athena) a colleague of Ross Baker (aka Bedlam). Heather is an overworked and underpaid scientist developing medical technology for corporate giant Neurosphere. One rainy Monday morning Heather volunteers as a test candidate for the new Neurosphere brain scanning tech – anything to get out of the office for a few hours. But when she gets out of the scanner she discovers she’s not only escaped the office, but possibly escaped real life for good! Heather finds herself trapped in Starfire – the violent sci-fi game she spent her teenage years playing – with no explanation, no backup and, most terrifyingly, no way out!